Fireplace tools designed by myself. 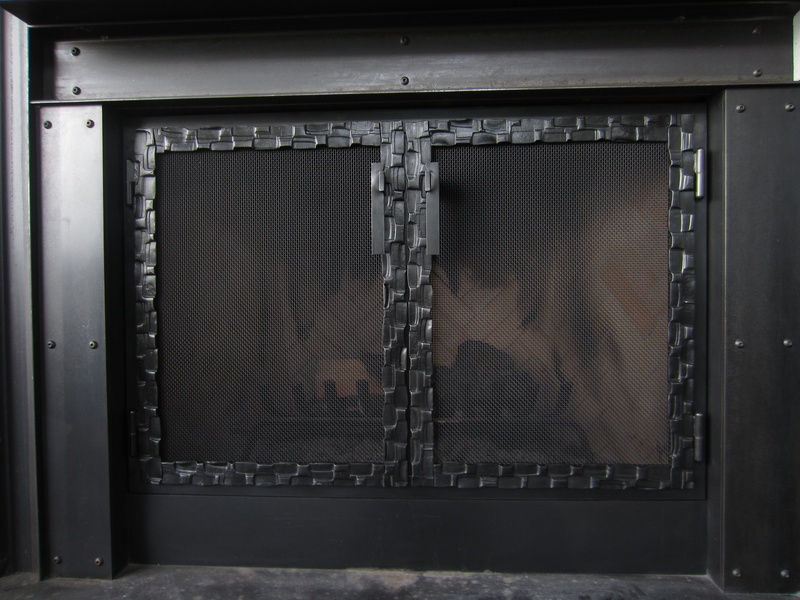 Exterior fireplace. The home is a modern house with a lot of steel. 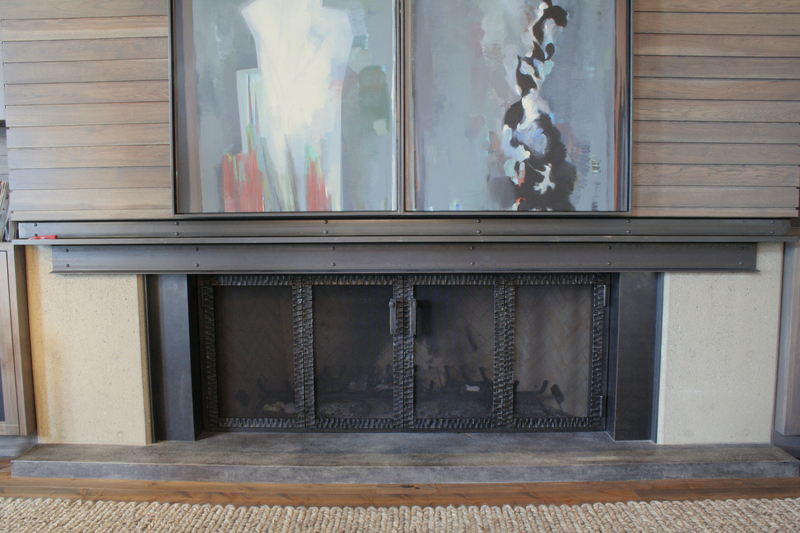 The client wanted something for the fireplace that was “softer”, but still modern. 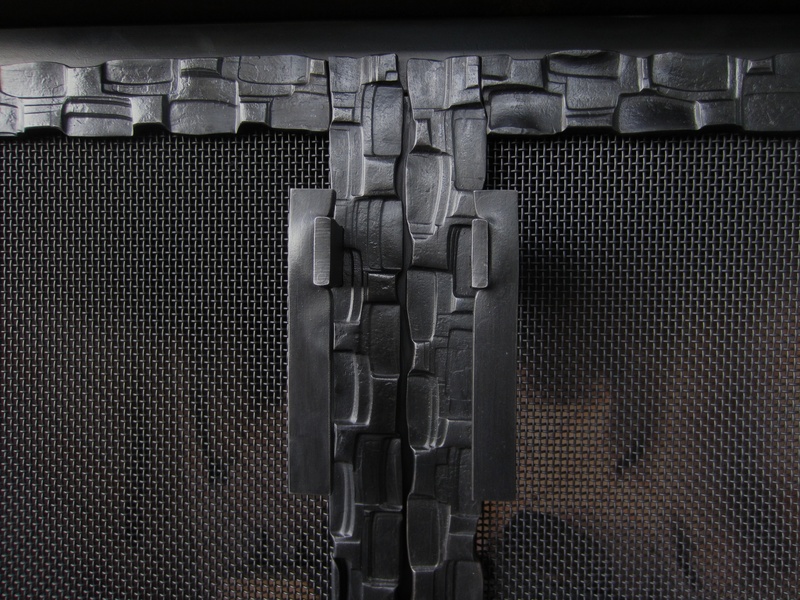 I love the texture I came up with for these two fireplaces. This is a good example of what can happen when I design at the forge. 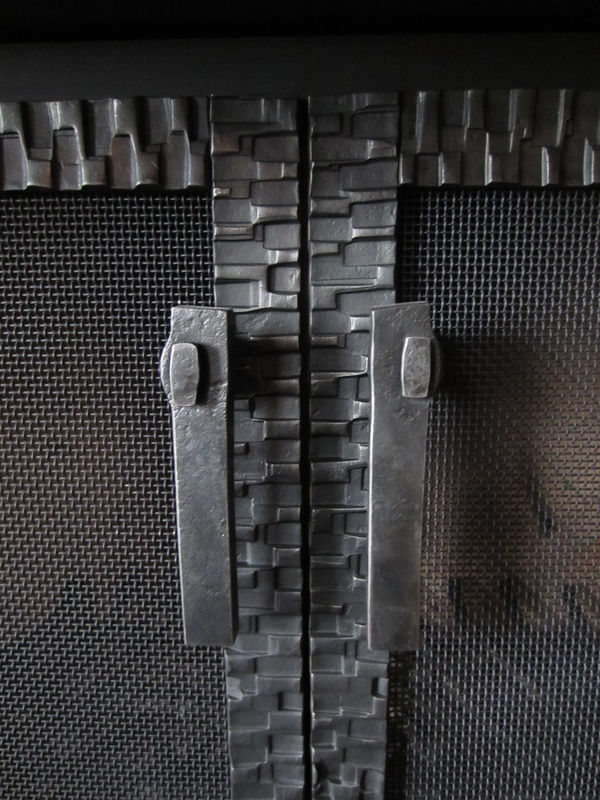 Exterior fireplace detail. Interior fireplace. Interior fireplace detail. 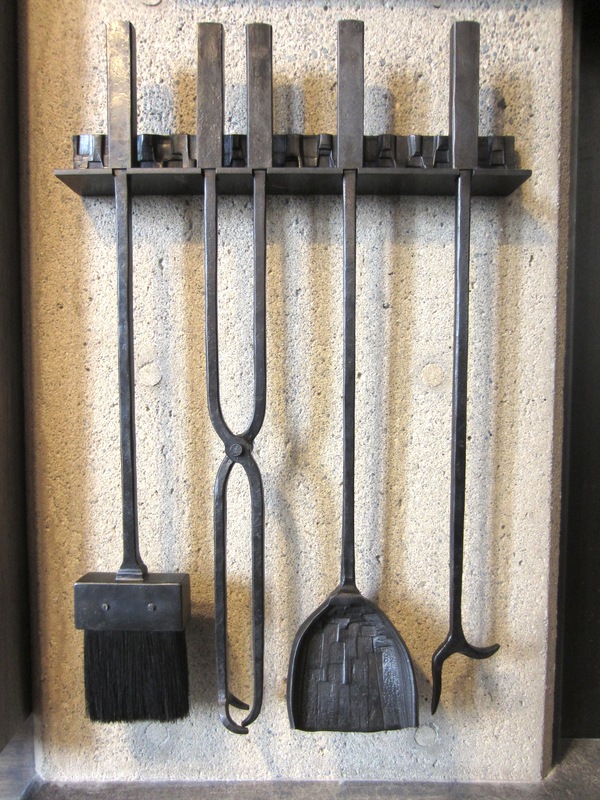 I’ve used the space behind the stove as a canvas for forged, pitted and plain pieces of steel. 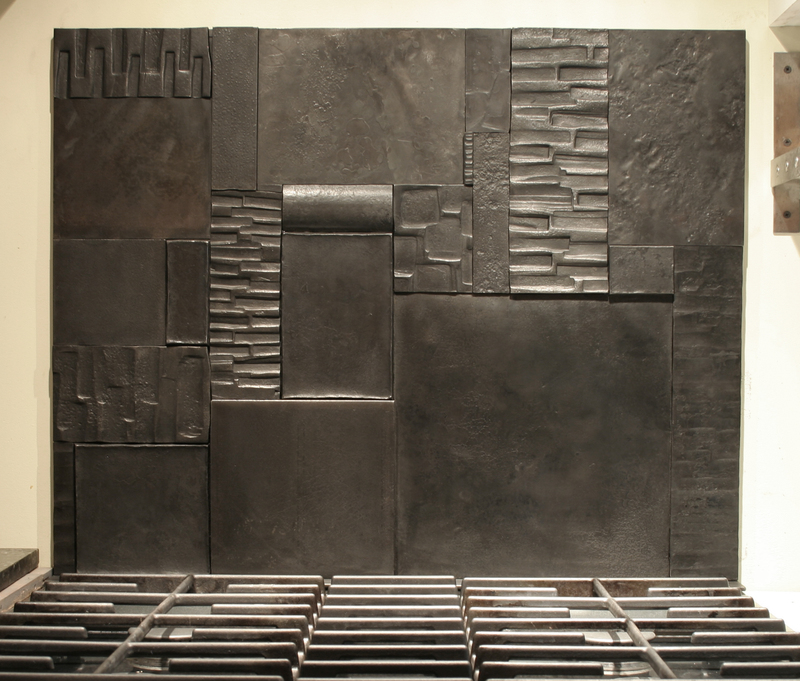 There is a variety of thicknesses and textures making this a very rich piece of art for the home. The client gave me full design license. I worked out the design at the forge instead of on paper. It’s my favorite way to work. 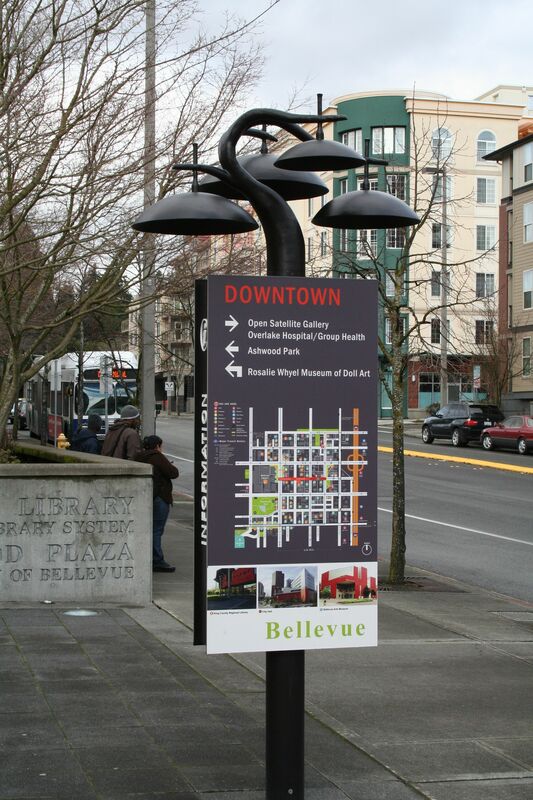 Five more wayfinding kiosks were installed in Bellevue, WA. This makes 9 total.